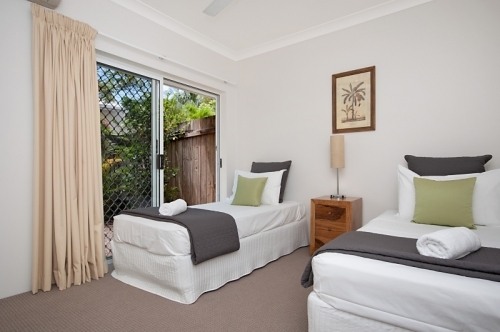 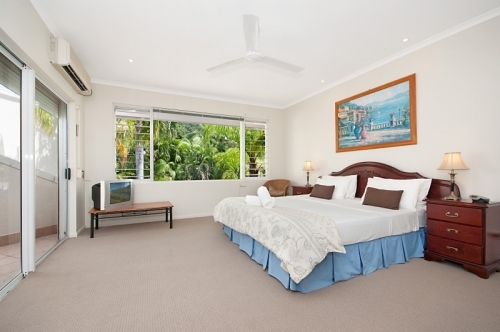 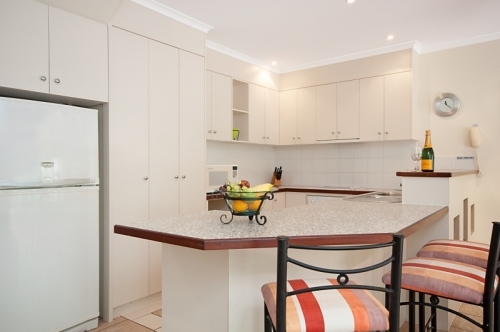 The Villas Palm Cove are a spacious and comfortable Palm Cove accommodation option. 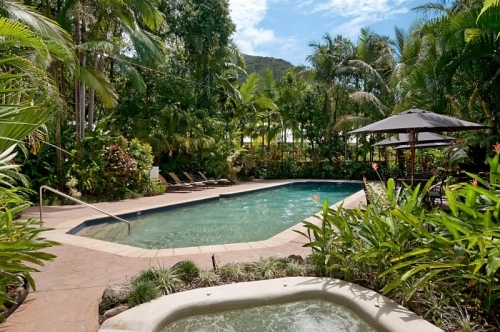 Our Palm Cove accommodation complex is set on an abundant site among native gardens with a majestic tropical mountain range backdrop. 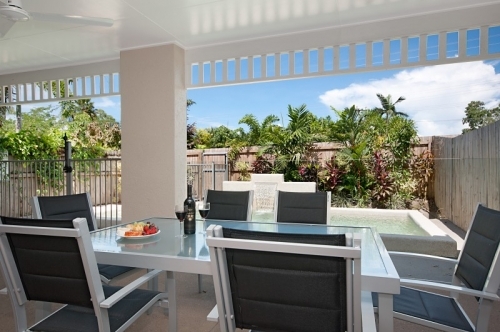 The villas are spacious and beautifully furnished in a relaxed contemporary style and all have private courtyards and a true tropical atmosphere. 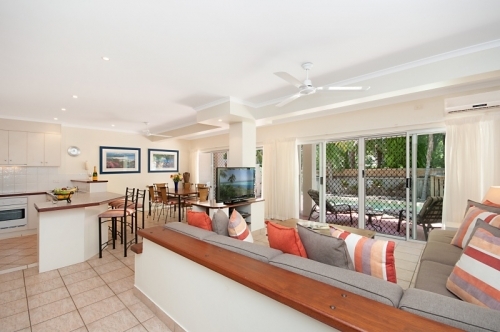 The most in demand Oasis Villas have their own private swimming pool [two with a Jacuzzi] and the complex provides a large and pristine 17 metre swimming pool and heated spa. 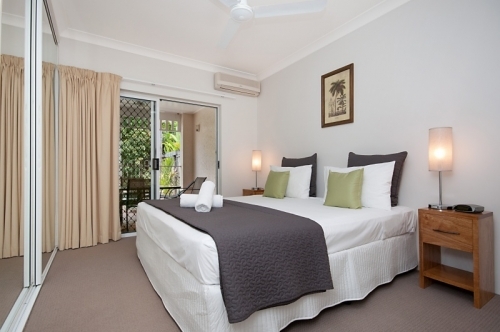 A superb local golf course, tennis courts, restaurants and shops are within walking distance and beautiful Palm Cove beach is just a 800 metre walk. 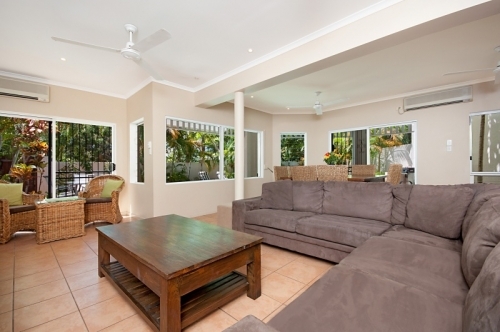 All this for the most competitively priced family apartments in Palm Cove. 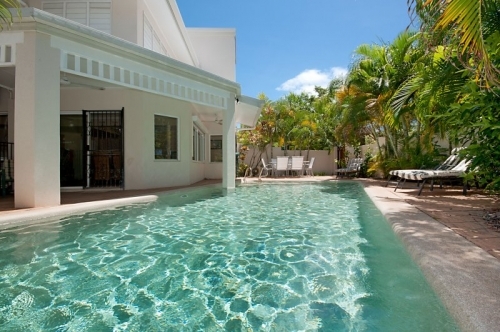 Treat yourself to a little bit of luxury with your own secluded swimming pool, set in a tropical courtyard - a feature which will be difficult to find anywhere else!